Instagram is fast becoming the most popular social network. It’s also a great place to promote your product or build an audience. Of course, posting photos and answering comments every day is time consuming. But with Postable, you can delegate most of the work. This intelligent tool lets you schedule posts in advance, and automate your engagement. You can pick up a lifetime subscription now for just $39 via MakeUseOf Deals. The key to making waves on Instagram is being active. Most top accounts post at least once every day. They also follow new people, comment on and like relevant posts, and respond quickly to messages. For side-hustlers and small startups, this level of engagement can be difficult to maintain. Postable offers a little respite. The app lets you schedule posts in advance, complete with captions and hashtags. You can do the same with stories. The process couldn’t be easier: simply drag and drop photos into Postable, and then select the publishing time and date. 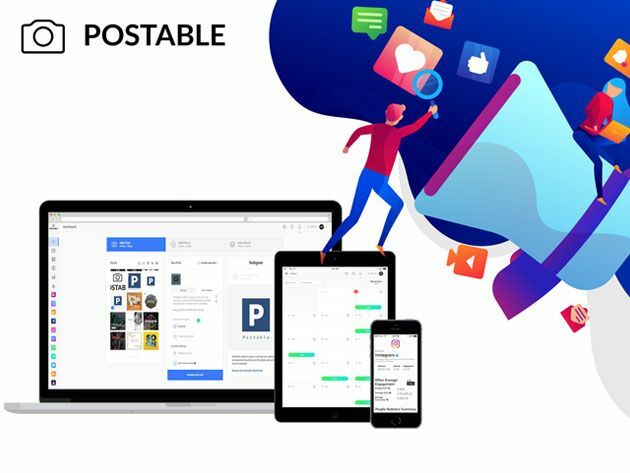 Postable can also help you gain followers. Tell the app who your target users are, and Postable will auto-follow them. You can set up similar rules for reposts, likes, comments, and messages. Thanks to in-depth analytics, you can see exactly what’s working and what isn’t. Order now for $39 to get your lifetime Postable subscription, worth $325. Explore more about: Instagram, StackCommerce.